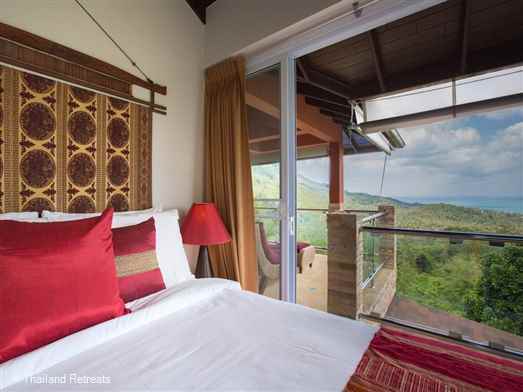 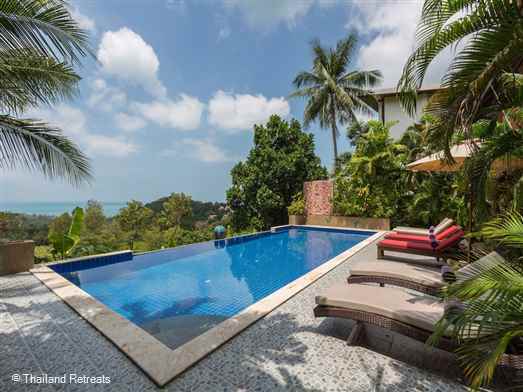 Sunset villa is a spacious villa with accommodation spread over three levels with a large infinity edge swimming pool located on a stunning west facing hillside offering stunning views over the National Marine Park. 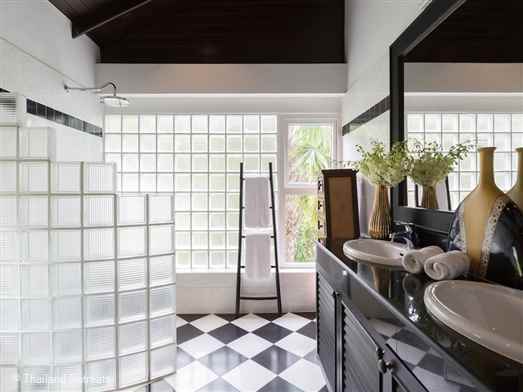 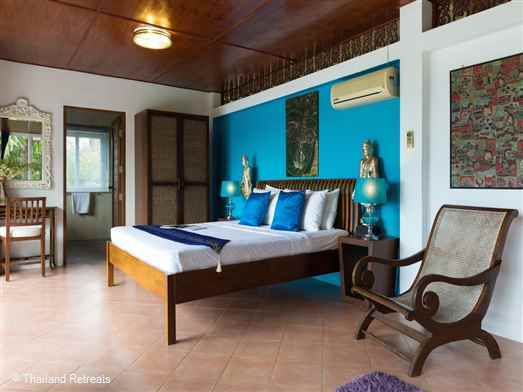 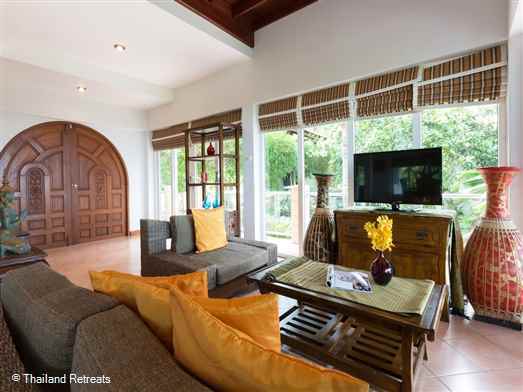 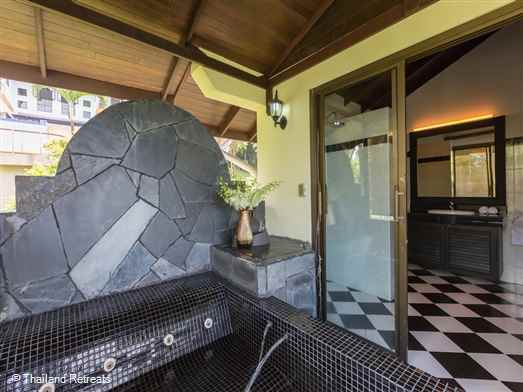 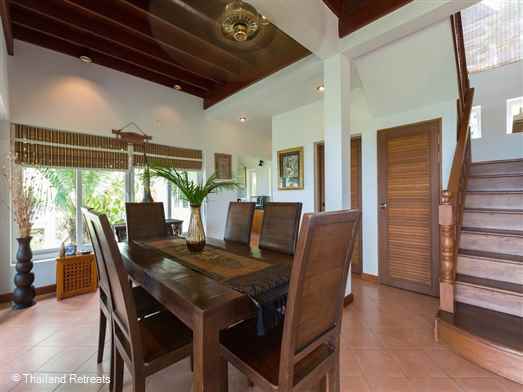 Set in a large 1600sqm plot of tropical gardens the villa's environment exudes peace and privacy. There is expansive outdoor terracing with furniture on all levels from which you can take in the vista and spectacular sunsets and enjoy the feel of indoor/outdoor tropical living. 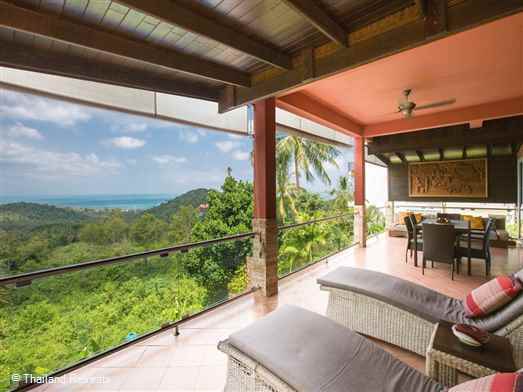 Walking through the double doors into the living room of this well constructed property you are immediately met with the stunning views over the palms to the sea beyond. 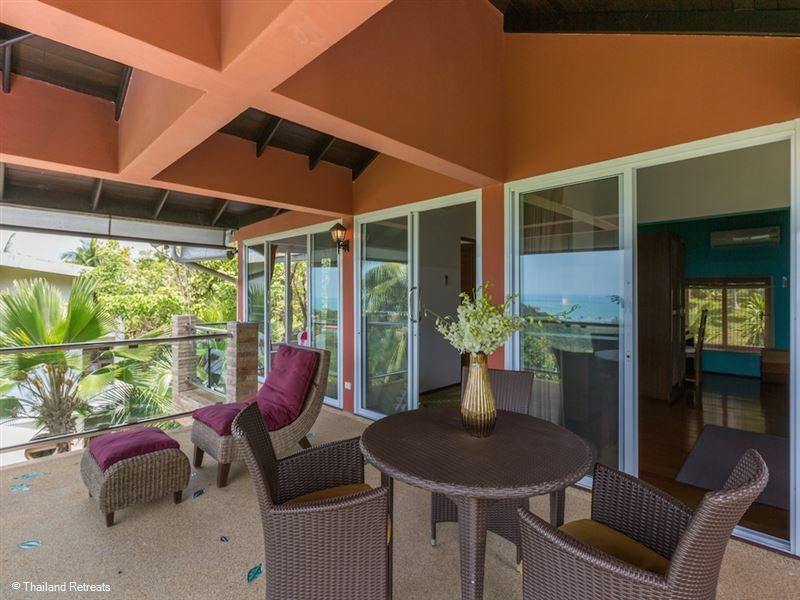 The large L shaped living and dining area has floor to ceiling French doors to maximize the views and provides a comfortable sofa set and occasional furniture. 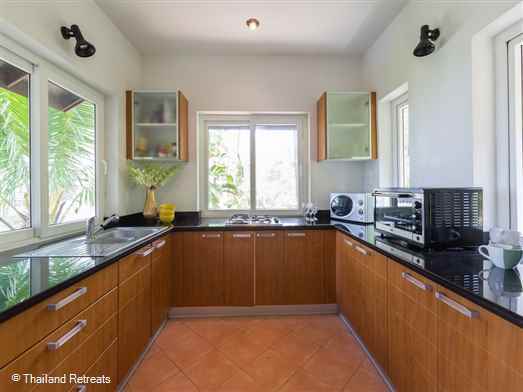 For entertainment there is satellite TV/DVD and CD player. At one end of the room is the fully equipped kitchen next to which is a dining set seating 6 persons. 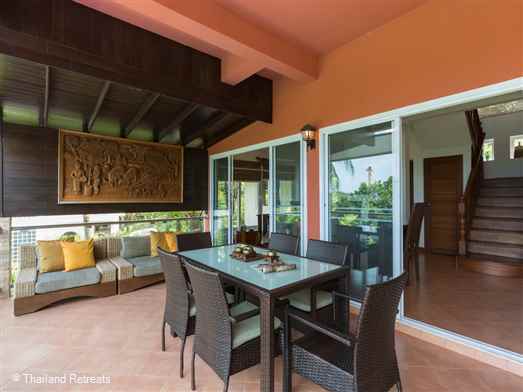 A further table and chairs can be found on the large covered balcony together with cushioned sofas offering stunning views over the pool and across the palms and out over the ocean towards the islands of the National Marine Park. 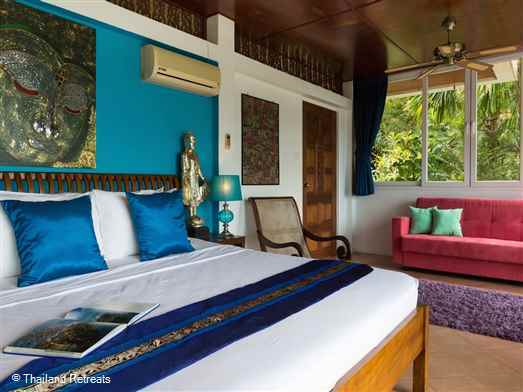 Sliding doors from both bedrooms lead out to a large balcony offering uninterrupted views of the Gulf of Siam. Approached by steps at the side of the villa the the 3rd bedroom is in fact a suite with en-suite bathroom with shower and located just above the swimming pool level.The bedroom is furnished with a king size bed and a 3 piece sofa set and has a wall of windows facing the pool and ocean. 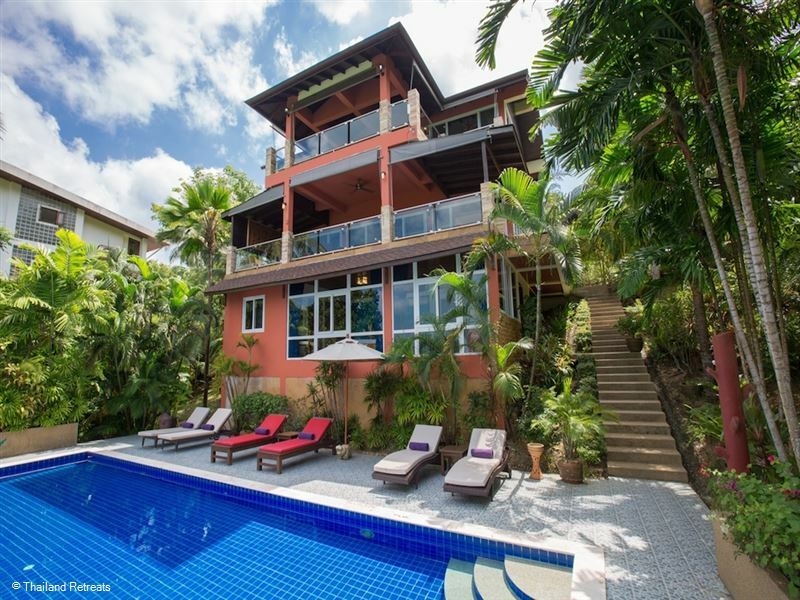 The large infinity edge pool has ample sunbathing decks furnished with sun beds, and is surrounded by well kept tropical gardens. 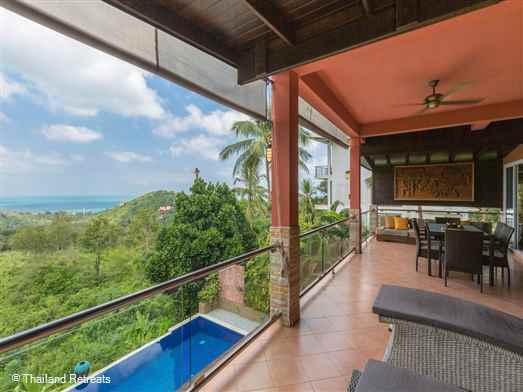 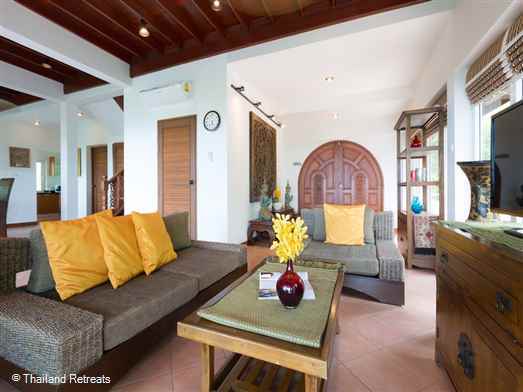 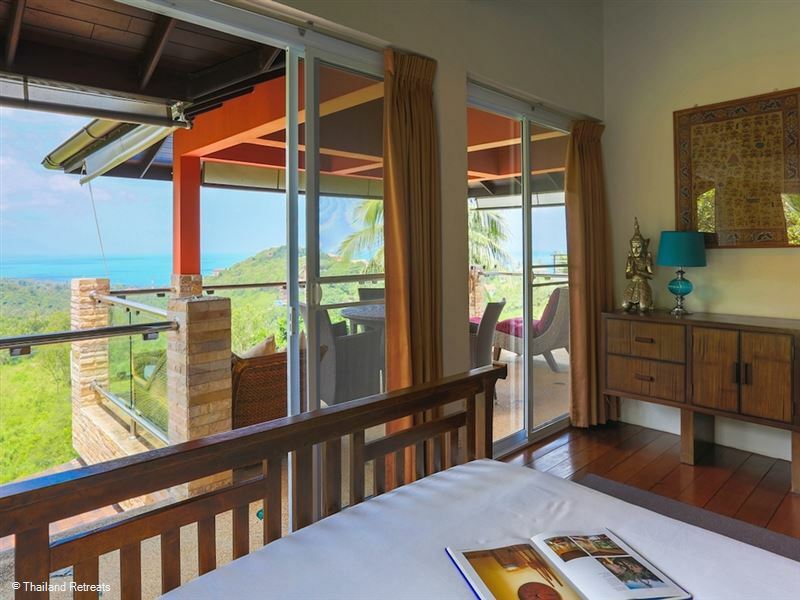 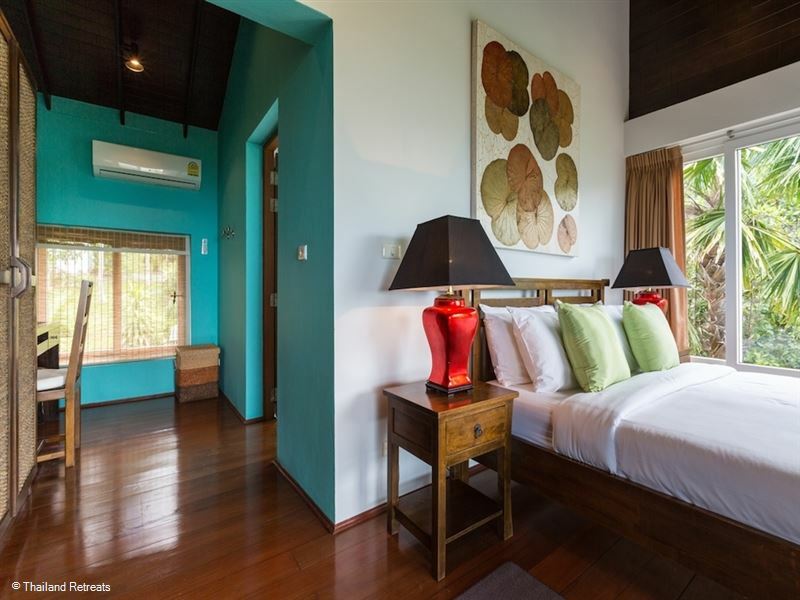 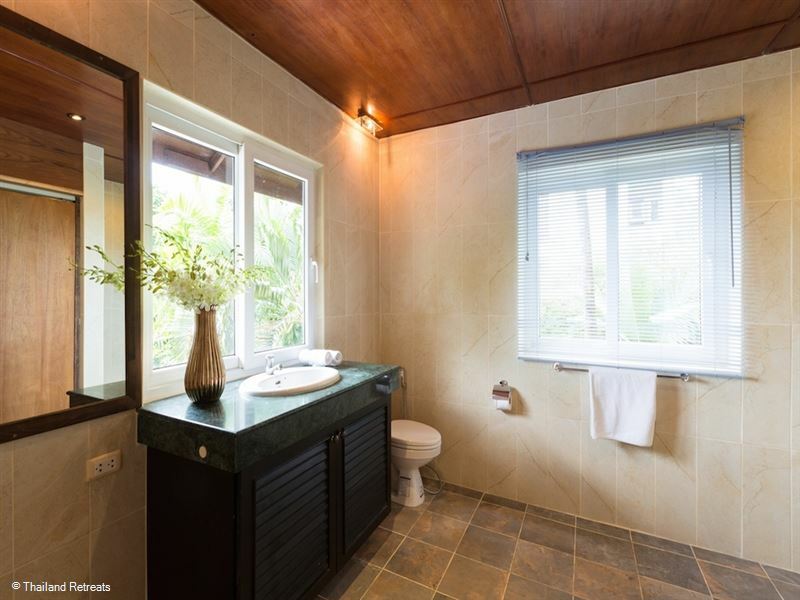 Located on an exclusive hillside village on the north coast of Koh Samui Sunset villa is within 5 minutes drive of Ban Tai and Ban Po beaches where there is an good choice of restaurants. 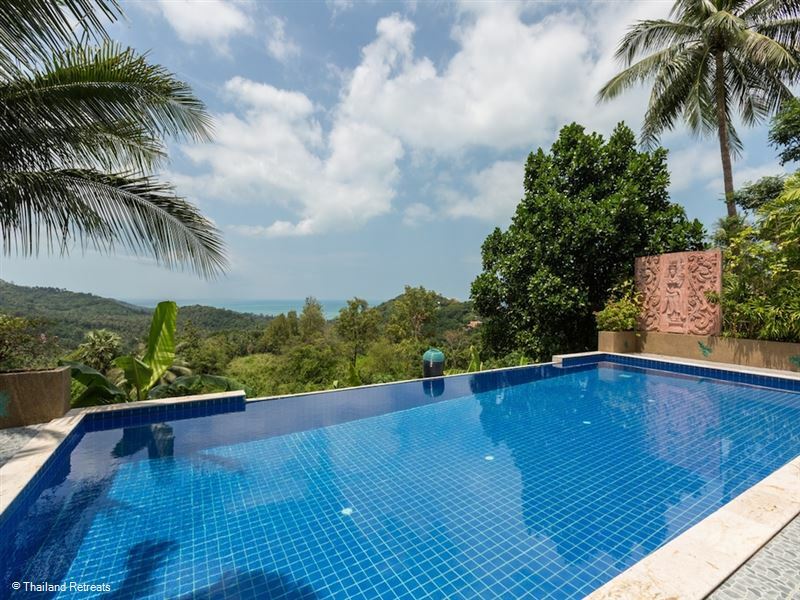 Other larger villages and towns are all within easy access on the main ring road of Koh Samui.